Conveyance of neutral, liquid and gaseous media, such as cooling brine and other cooling fluids, media for hydraulic and pneumatic control systems, chemical solutions. For installations in chemical pilot and production plants, in experimental prototype construction, and for experimental set-ups in physics, chemistry, and technology. 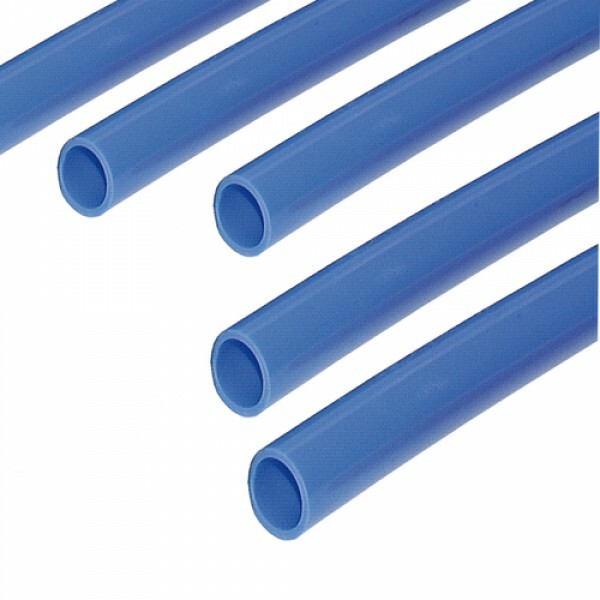 Light-weighted, non-combustible safety conveying tubing, mechanically stable, elastic, kinking-resistant, dimensionally stable and robust to effects of light and ozone, resistant to gasoline, cyclohexane, diesel oil, isooctane, kerosine, and aqueous salt solutions.